Home Client Side Object Model (CSOM) Library List Office 365 PnP PowerShell PowerShell SharePoint Designer 2013 SharePoint Online SharePoint Online: How to Hide a List or Library using PowerShell? SharePoint Online: How to Hide a List or Library using PowerShell? Requirement: Hide a list or library from SharePoint Online site. 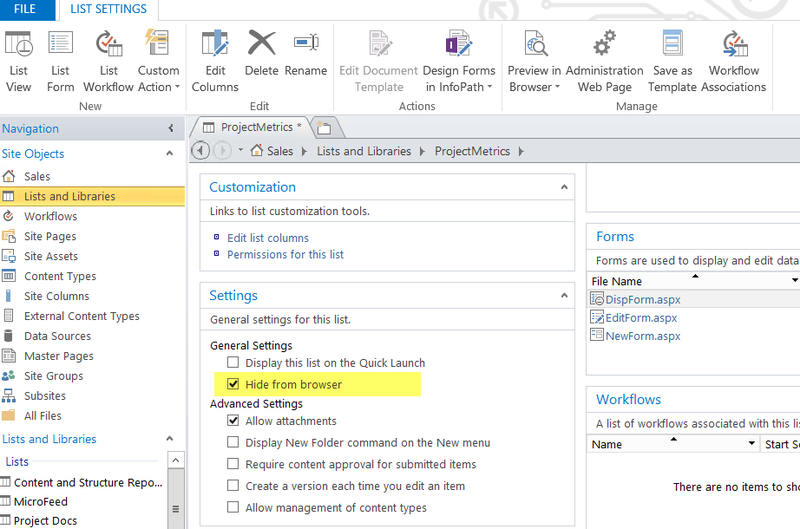 There are many ways to hide a SharePoint online list. Here is the PowerShell CSOM script to create hidden lists in SharePoint online. Write-host -f Green "List hidden Successfully!" We can also use SharePoint Designer to mark a list hidden from browser. Read more here: How to hide a list in SharePoint?